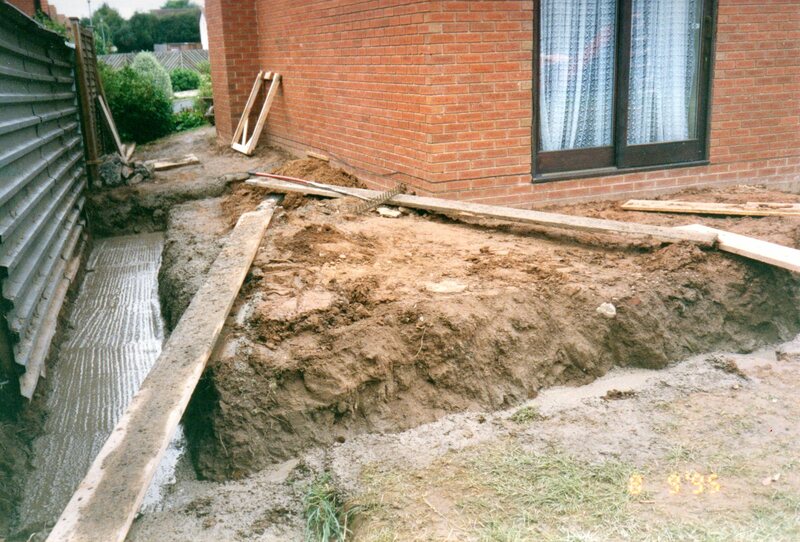 When builders came to extend my home they were required by law to dig deep foundations. Although the extension only involved two ground floor rooms, building regulations stated that the foundations had to be strong enough to support a double height extension. While the builders considered this excessive, it added an element of future proofing and made absolutely certain that my ground floor extension would stand for many years. Call it wisdom, call it forward planning, call it what you like, but I have absolute confidence in the deep foundations supporting my extension. I also have absolute confidence that Jesus Christ is the Son of God, and that His words provide a foundation for survival in a world that offers many other choices. In fact there are only two choices. Listen to Jesus or ignore Jesus. 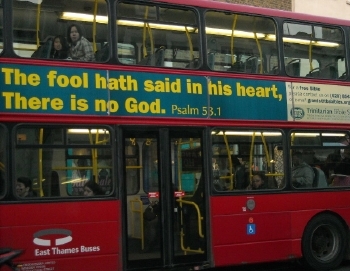 He has the words of eternal life (John 6:68). 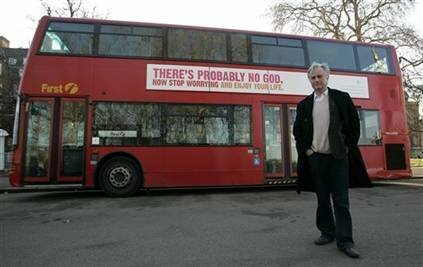 Sadly there is no shortage of fools prepared to boast that there is no God as demonstrated in an advertising campaign involving buses in the UK during 2009. This entry was posted on Tuesday, May 12th, 2015 at 10:36 am	and tagged with construction sites, Good foundations, Jesus Christ and posted in advice, Fools, Warnings, Wisdom, Word of the Lord. You can follow any responses to this entry through the RSS 2.0 feed.